Immediately after watching the performances, i had no luxury of staying back due to a SMS that i received from my fellow block mate notifying me about the lack of runners for the Inter Block Games Road Relay competition. As a responsible captain, i rushed back straight from the bash and did a Superman costume change to my sports attire. Faster than a speeding bullet i would say, or in my case, a half drunk Lukey. No thanks to the alcohol from the bash. And so i ran. "How hard could running get? ", i thought. Boy, was i not prepared for the situation of being left behind just at the start of the competition. Before i knew it, there was i running alone while the other runners were few hundred kilometers in front of me. So much for faster than a speeding bullet. I held on. I pushed my body to the limit with a thought running in my mind saying that as a senior, i must at least save some face and not get last among the freshies. I tried. And at least i finished together with another person for the final place, so it was not that embarassing. But boy, was i wanting to faint that time. 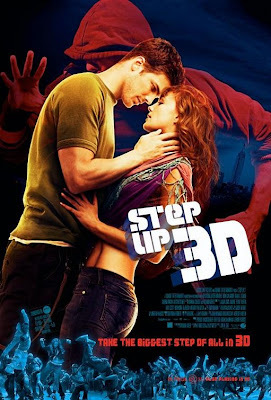 Next up on my to-do list, EHOC Programmers outing to watch Step Up 3! Although i'm already half dead trying to catch my breath back, still i went. And i must saym the movie is awesome! Will do a full movie review tomorrow when i don't have so much alcohol and tiredness stuck up in my system. So yeah bloggie, there goes my day. And oh, did i forgot to mentioned that we went McDonalds immediately after the movie? Because we did. That pretty sums up my day i guess. Bash, run, movie and McD. How's your day?